Total area of this modern contemporary house is 2585 Square Feet (240 Square Meter) (287 Square Yards). Design provided by 3d Edge Design Solutions from Coimbatore (Re-located from Ernakulam), India. Ground floor area : 1255 sq.ft. First floor area : 1360 sq.ft. Total area : 2585 sq.ft. 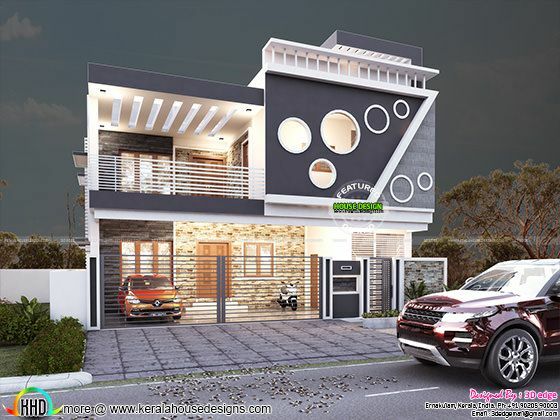 0 comments on "Attractive house by 3d Edge Design Solutions"